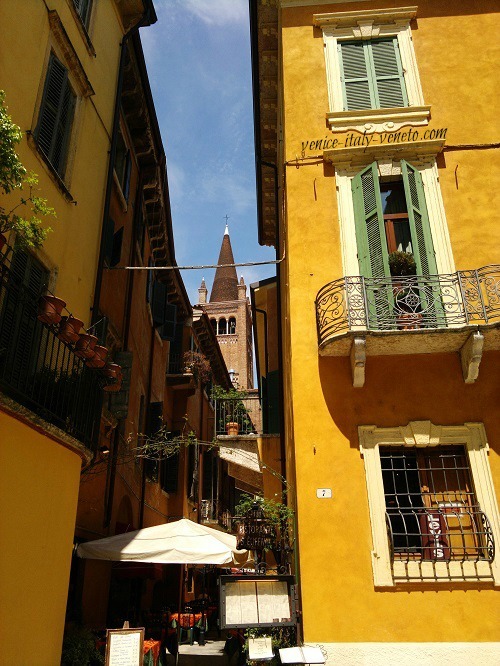 Verona is a city capable of capturing the hardest of hearts, in very short order too. 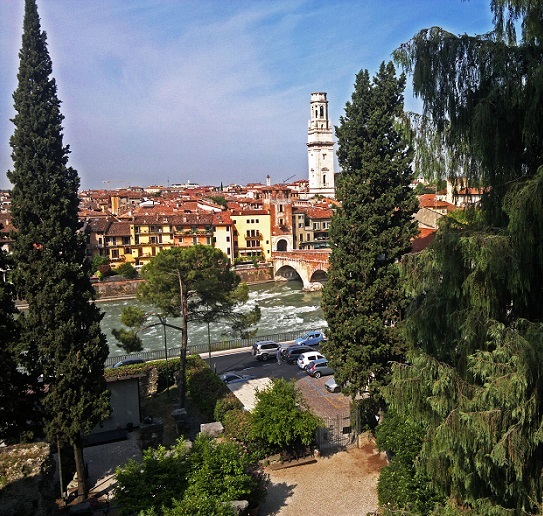 Once you've been enchanted by Verona's magic you'll forever long to return. 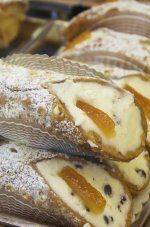 I am not sure what it is, yes there is plenty of history, the Roman Arena is incredible and the piazze are full of charm but there is more. A certain sense of joy and a feeling of well-being that envelopes me every time I set foot here. 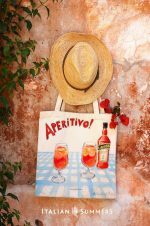 This summer, like many summers before, I have spent some of my happiest days being a part of Veronese life once again. Strangely enough, it doesn't matter how many time you visit, it always seems to mesmerize you and although each year I expect to be disappointed I never am. In fact rather than disappointed it seems to simply get better and better. 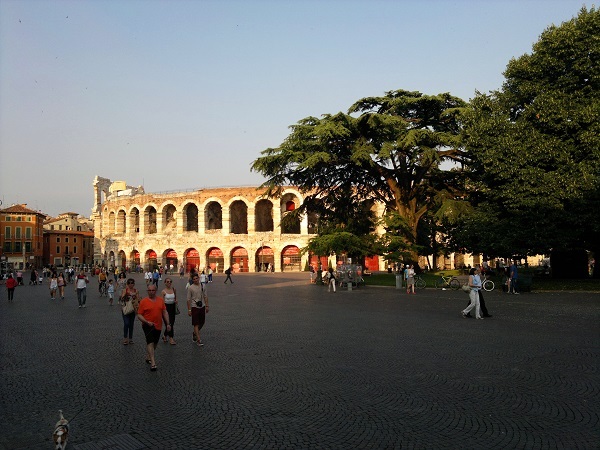 If you would like to feel the sense of wonder that is Verona and become a part of a truly special city then I'd suggest you click here to begin organizing that. Once that is taken care of come back and enjoy some of these photos and videos. 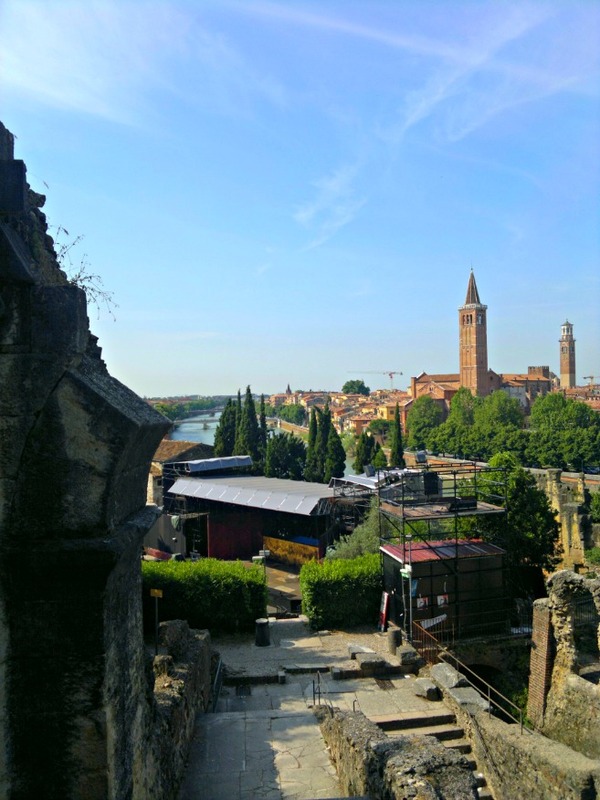 Please do click the Like button below if you agree with me that Verona is marvellous. A view across old rooftops from the modern Best Western Hotel, incidentally this is one of the hotels you should really consider if you are visiting. 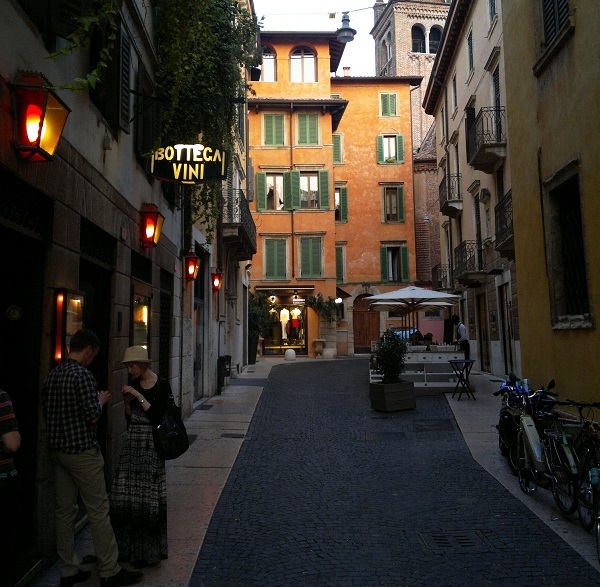 Via Sella leading onto the most exclusive shopping street - Via Mazzini. 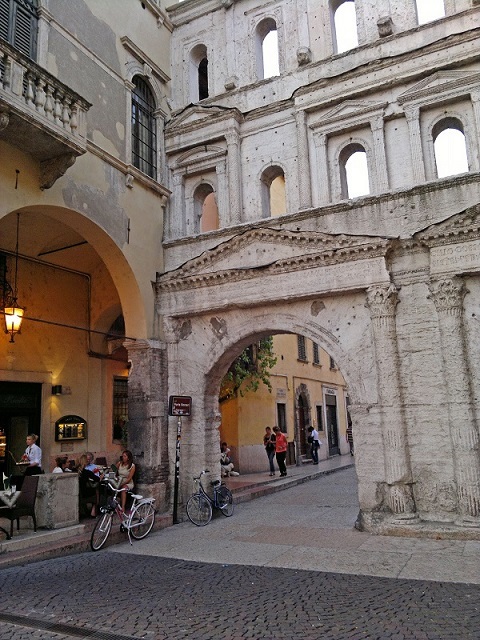 This is where all of the locals come for the evening walk (passeggiata) to see and be seen. 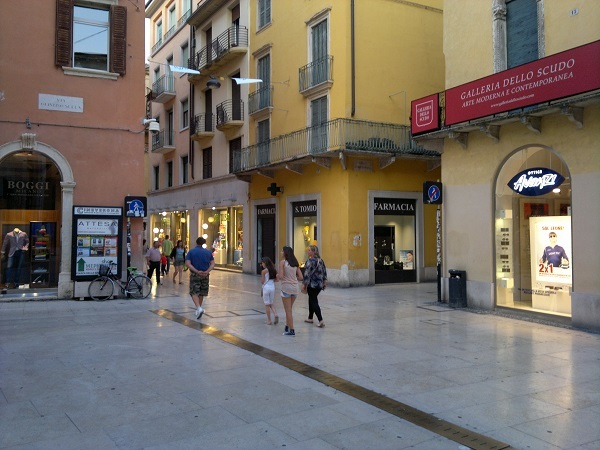 This is a great city for shopping, the third best in northern Italy after firstly Turin and then Milan. Floating above the crowds this girl seems oblivious to all. I have absolutely no idea how she does it and I spent ages trying to figure it out. When I asked her she said: "mind power"...mmmm! Another one of Verona's many street artists., I found this one rather scary and a bit creepy. 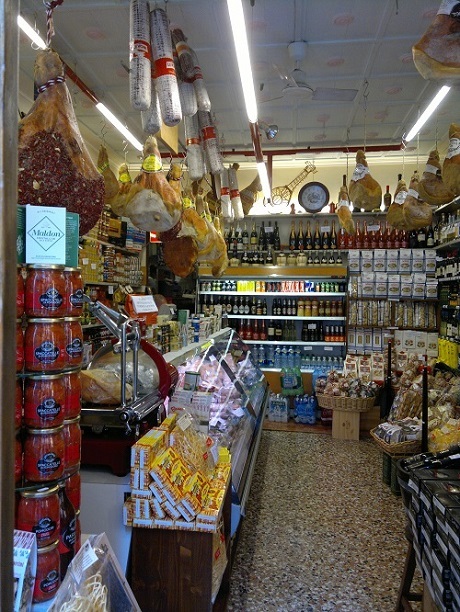 I love little shops like this which are always full of delicious treats. You'll find similar ones in nearly every neighborhood of the city. 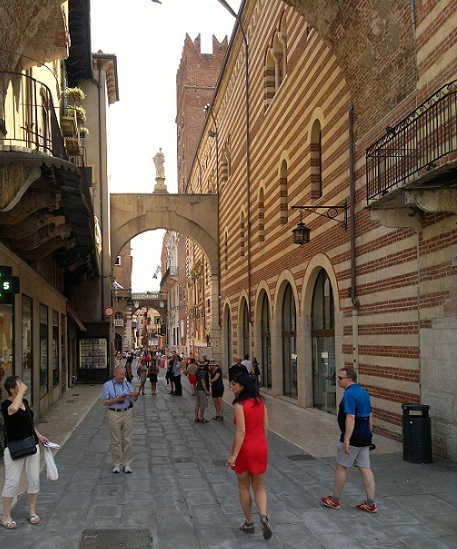 Porta Borsari is the 1st century Roman Gateway to the city. This is a really pleasant place to sit and sip a Martini. 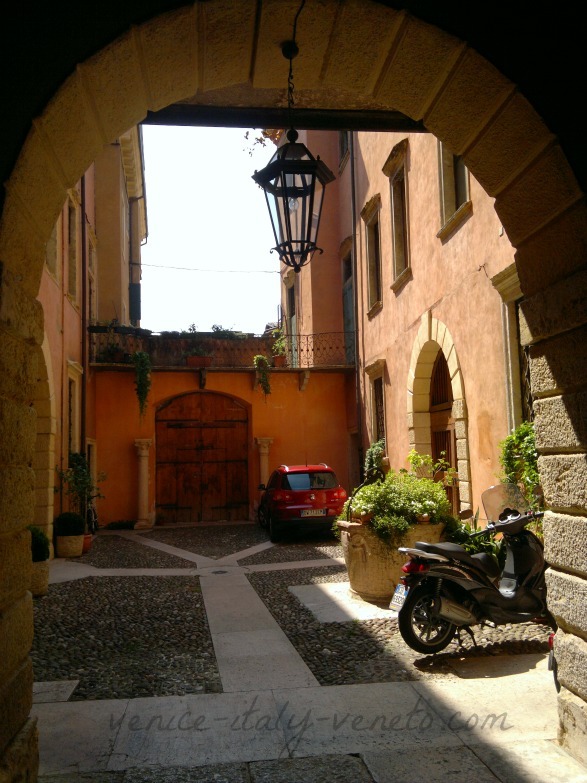 A typical courtyard, most building have these and some are really lovely but you seldom see them unless the portone (main doors) are left open. These narrow lanes always reming me of Venice. 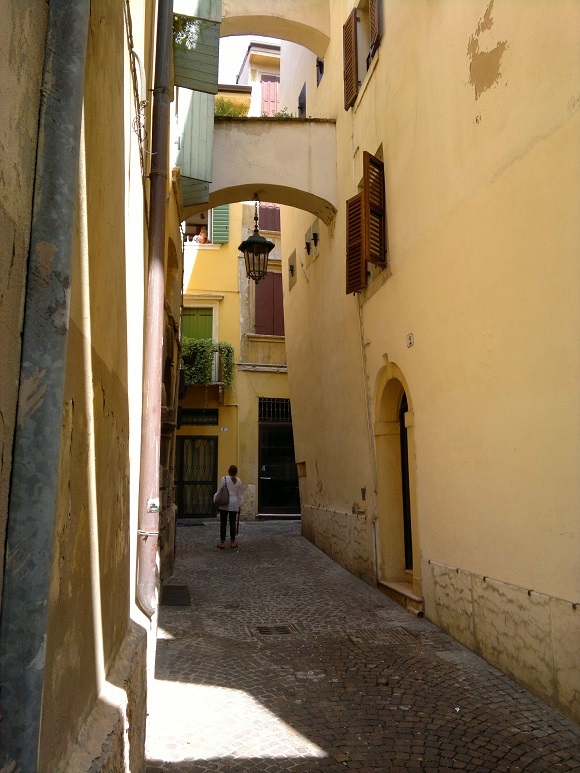 Wandering away from the main tourist streets is the best way to discover them. The photos and videos above show Piazza Bra, which is perhaps the largest piazza in all of Italy, and one of the loveliest too. 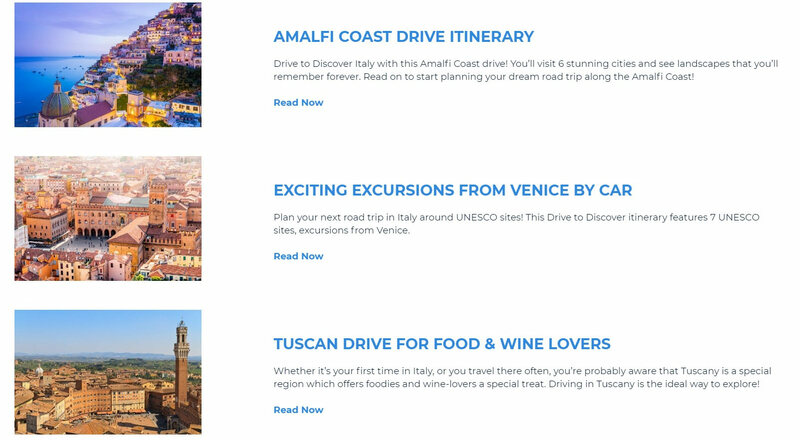 It is lined with pastel colored buildings, has a shady park and a Roman Arena...hard to beat all that really. 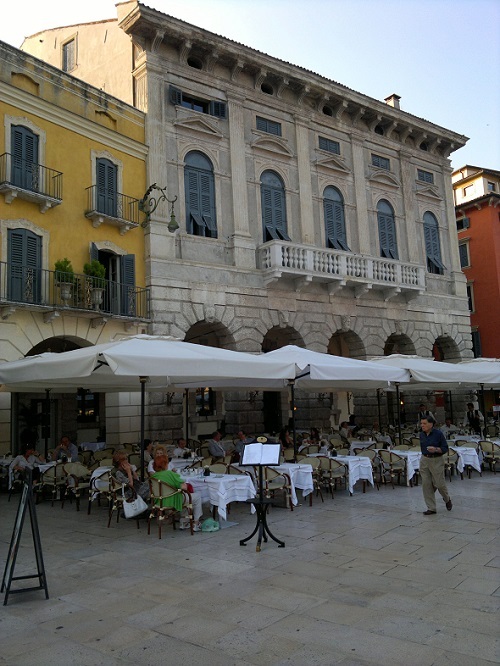 Sit at one of the many restaurants and bars lining the piazza, especially in the early evening on a summer's day, and sip an aperitvo, while watching life happen in the piazza. 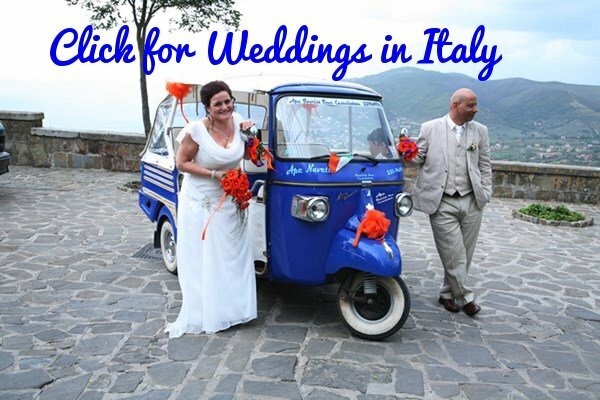 It's one of those Italian experiences that is bucket list worthy. 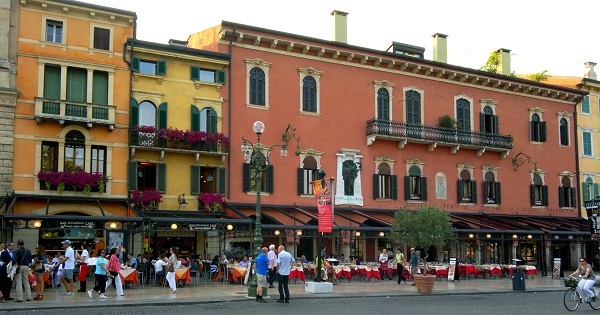 Piazze delle Erbe is much smaller than Piazza Bra but is just as lovely and maybe lovelier too. 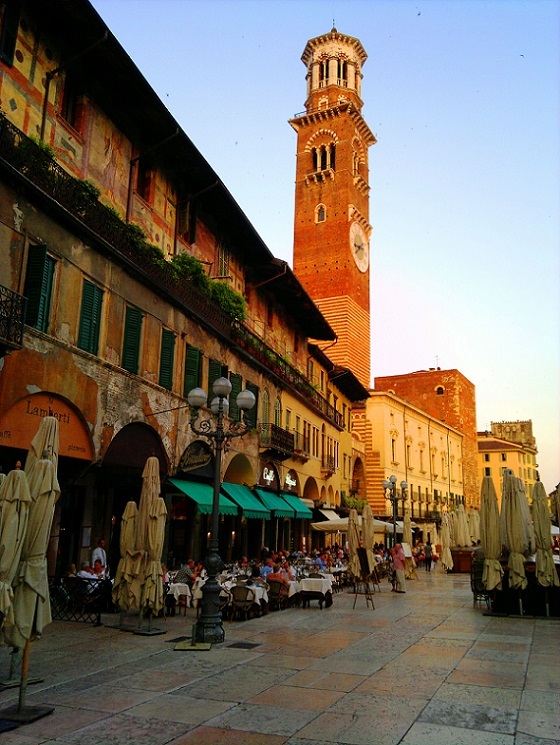 It is home to the open-air market and the buildings lining the piazza are some of the city's most beautiful. 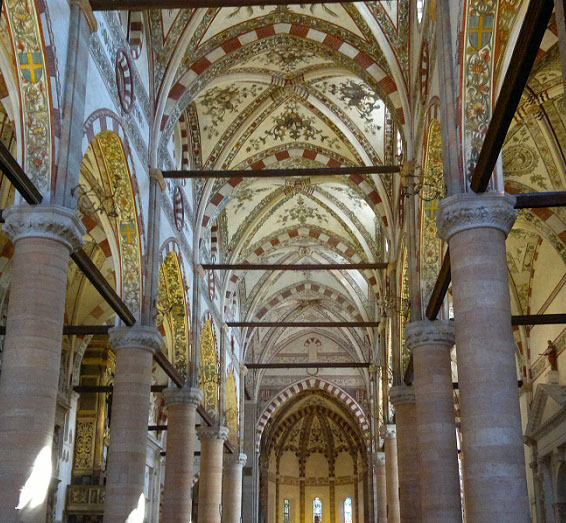 For more on this and other highlights in Verona click here. 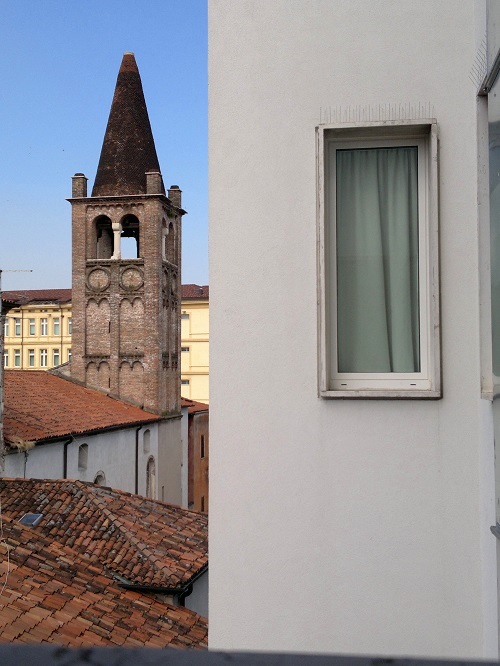 The Adige River encircles the old town and across from the old town lies the Roman Theater and gorgeous rolling hills. The bridge that the often evil Scaligers used as an escape route. 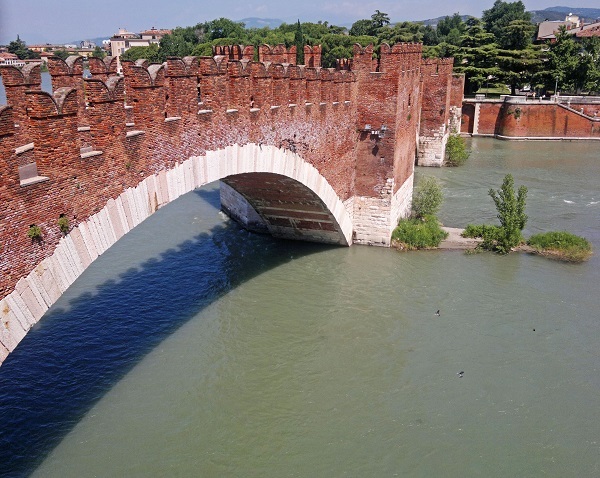 For more on the Scaligers, their castles, their nasty way and the major influence they had on the Veneto click here. 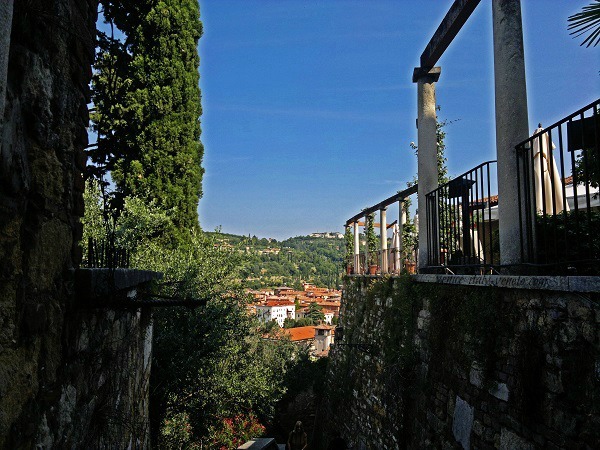 The Roman Theater, where summer evenings of Shakespeare can be enjoyed in an unbeatable setting. 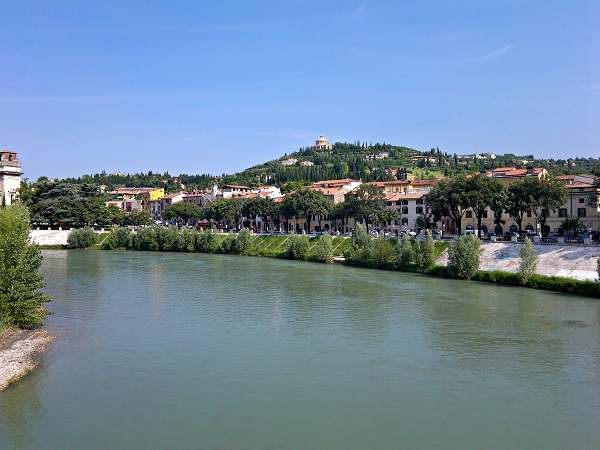 The view across the Adige river, looking towards the old town and taken from the Roman Theater.